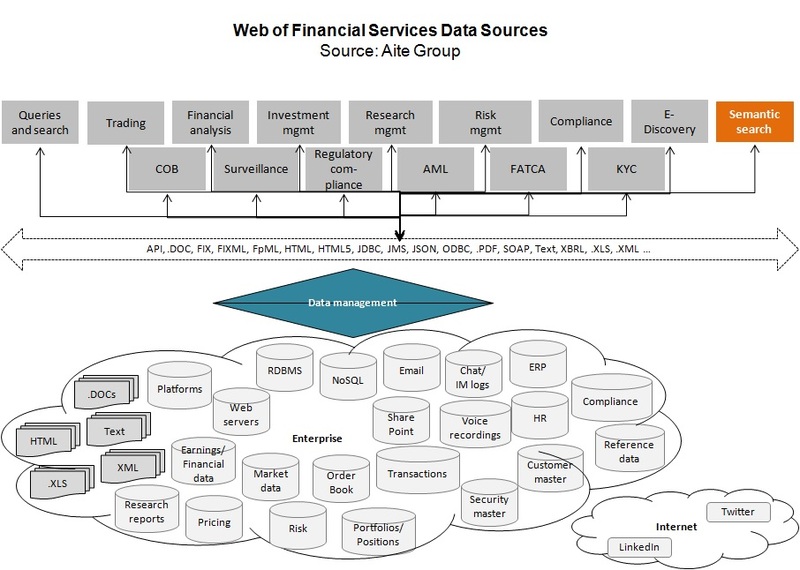 It is only a matter of time before financial services firms adopt semantic search. Boston, August 21, 2014 – Financial services firms have historically facilitated data storage and analysis via mainframe and relational database management systems. That's worked well for structured data, but enterprises have textual and visual documents to contend with as well as other, less relational-database-compatible, formats. Semantic search is designed to deal with hierarchical and unstructured data, helps dismantle silos across asset classes and products, and is especially relevant to OTC derivatives reform and multiple regulatory mandates. But when will recognition lead to adoption? This Impact Note, based on Aite Group interviews with market participants conducted in early 2014, gauges industry usage of these technologies, and describes current semantic search solutions and other software offerings that employ semantic search as part of their functionality. This 19-page Impact Note contains two figures and one table. Clients of Aite Group's Institutional Securities & Investments, Wealth Management, Wholesale Banking & Payments, or Retail Banking & Payments service can download this report.